In the receivers tab you will be able to manage all receivers of commission and set up specific rules for each one of them. For commission you can either choose for a fixed price or a percentage. For Products you can choose one product (per user) or all products. 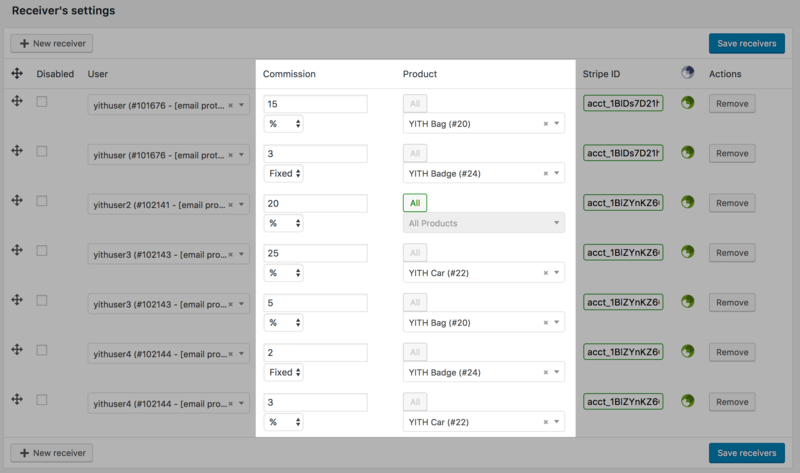 You can set one or more users/receivers for the same product, with a different commission rate. Per line you can only add one product (or all products), if you want to give commission on several products for the same receiver. You will have to add a new receiver for each product. To add a new receiver you will have to add his Stripe ID to make the connection. 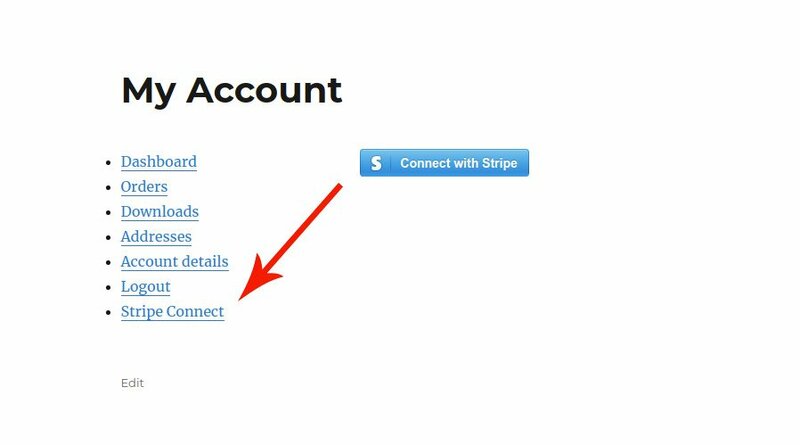 In the “My Account” page the client can find the link to connect with his Stripe Account. In order to receive commissions the client needs to be connected. If he is disconnected, he will not receive commission.